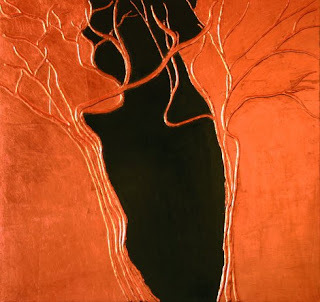 The final post in the orange and black series features items for the home and home decor. 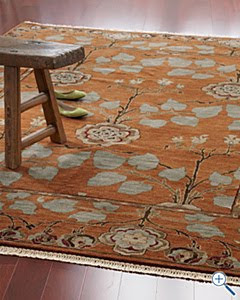 Designers and our fave mags have found a way to make this color combo work for every day life. those knifes are funny! haha! 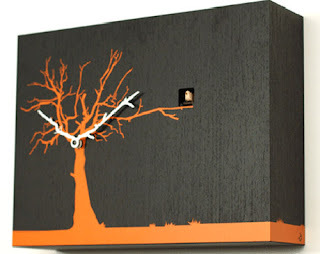 and I've never seen an orange bathroom, that's new... not a fan of orange, but the clock and bedroom looks cool! Orange and black for homes create such a character. 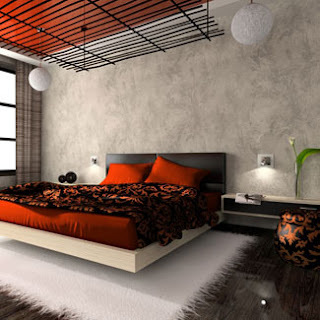 I wouldn't mind an orange and black bedroom and a bathroom as well. Olá! thank you for your kind words ;) It's almost weekend, yeah! ^^ Come check the new posts, hope u enjoy it. I think orange and black is very chic, I guess Hermes do too. 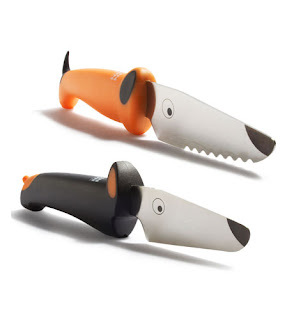 Oh my gosh, how cute are those knives???! I am obsessing over those knives too! 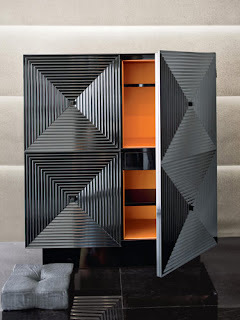 I have never thought about black and orange for home decor, but these folks are making it work! 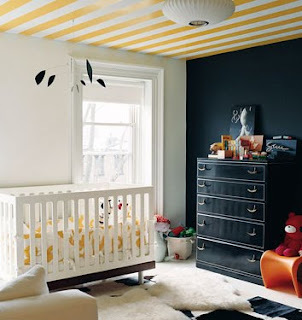 You posted the inspiration for my future babies room....it is weird to say this, YES...but I LOVE LOVE that nursery that was featured in Domino. 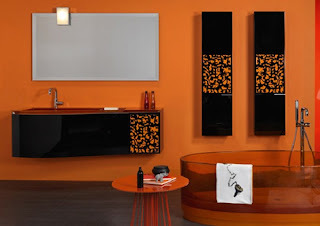 I would never think to have an orange and black room, that bathroom is so cool!